Spring officially arrived on Wednesday, March 20th, at 5:58 EDT, but Mother Nature has continued its winter weather pattern for the Northeast. 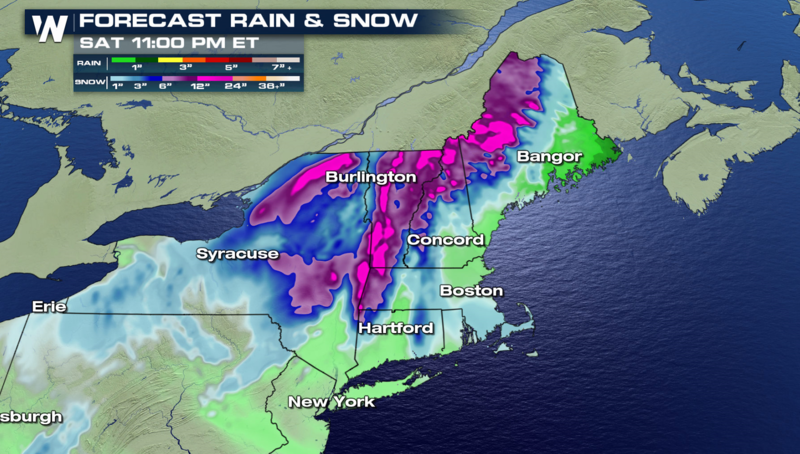 Heavy snow has been falling in parts of New England, while heavy rain produced flooding in the Middle Atlantic. 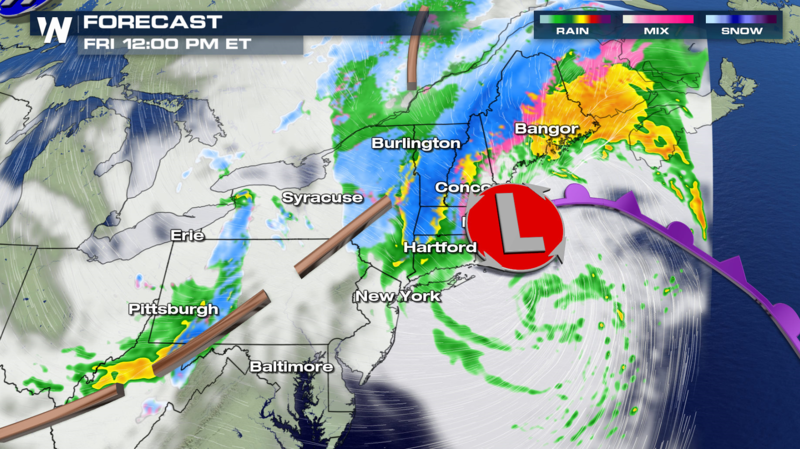 The coastal low pressure center is passing by Long Island, spinning up plenty of moisture into the Northeast. The air will be remain cold enough in the mountainous regions to support snow. For just about all other locations, rain will result. 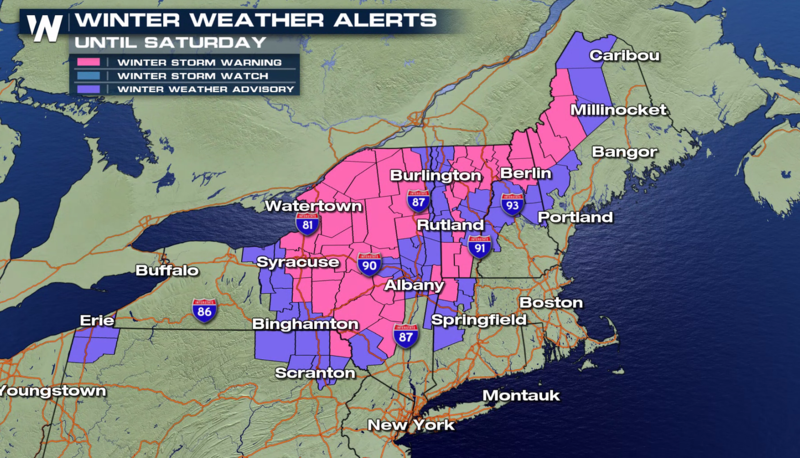 Snow will continue in Upstate New York, and work into New England through the rest of the day. 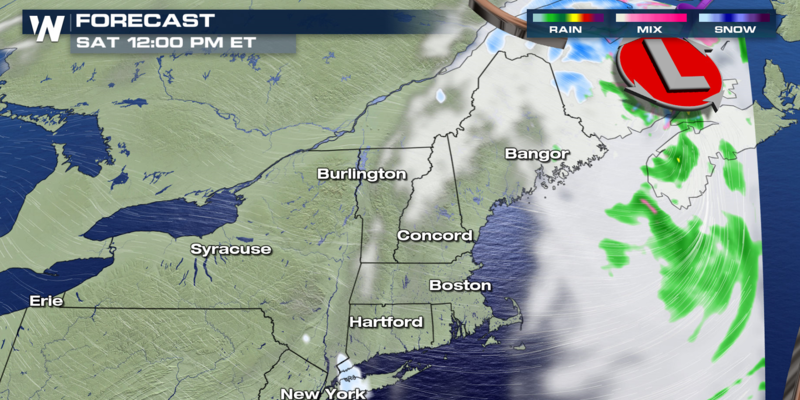 Some areas in New England will see rain first, changing over later to snow. Cold air and moisture will continue to wrap into the region on Saturday, especially during the morning hours. More light snow is likely in Upstate New York, Vermont, New Hampshire, and Maine. A few snowflakes could actually fly in Massachusetts too, but little to no accumulation is expected. Winter weather alerts have been issued for most areas away from the coast. They are in effect into Saturday morning. Some areas could see between 6 and 12 inches of snow. Once again, most of the more substantial accumulating snow will happen in the mountains. The map below highlights the areas most likely to see snow. 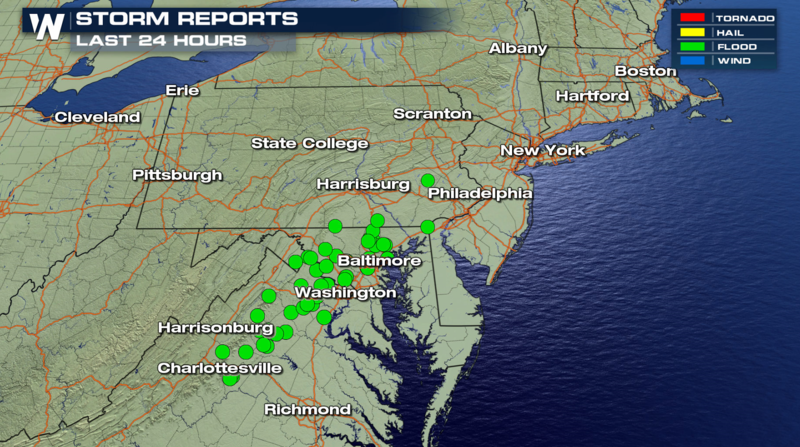 Major metropolitan areas including New York and Boston will see rain. 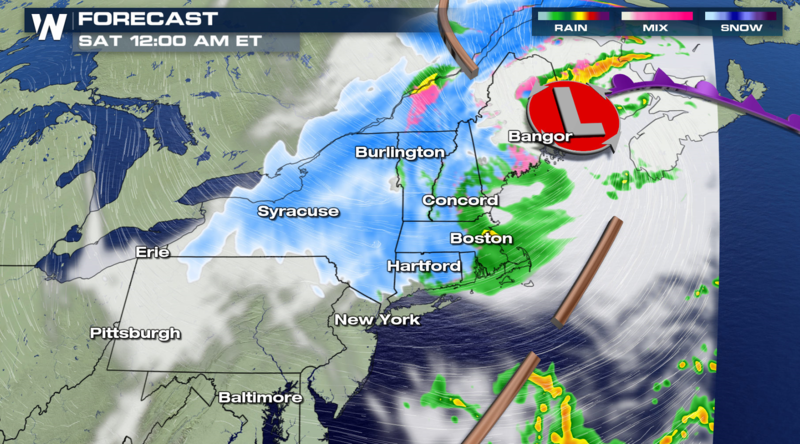 The heaviest snow will likely be in the Green and White Mountains of Vermont and New Hampshire, and into northern Maine. Much of northern New York State will also see significant snow, from Syracuse northward to the Adirondacks. Light snow will also be possible in western New York, as moisture comes off of Lake Erie and Lake Ontario. 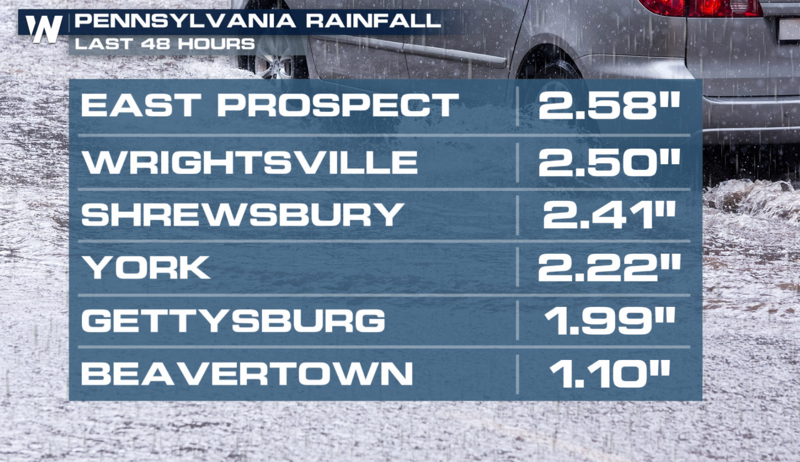 Heavy rain fell across the Middle Atlantic on Thursday. 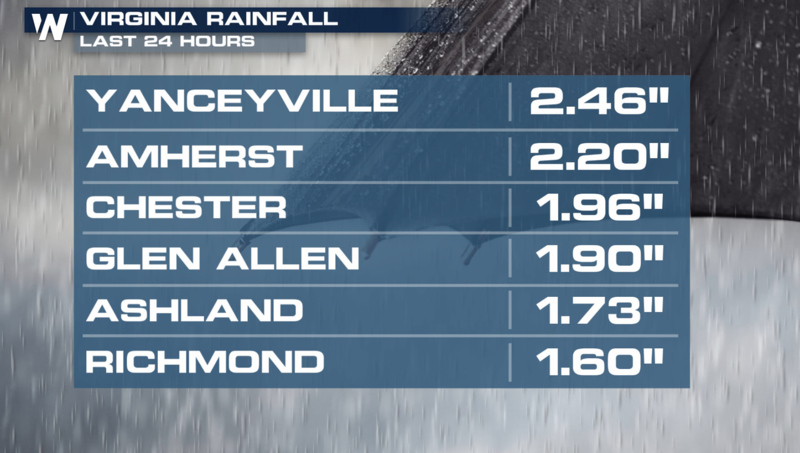 Some areas saw nearly 3″ of rain, producing flooding. 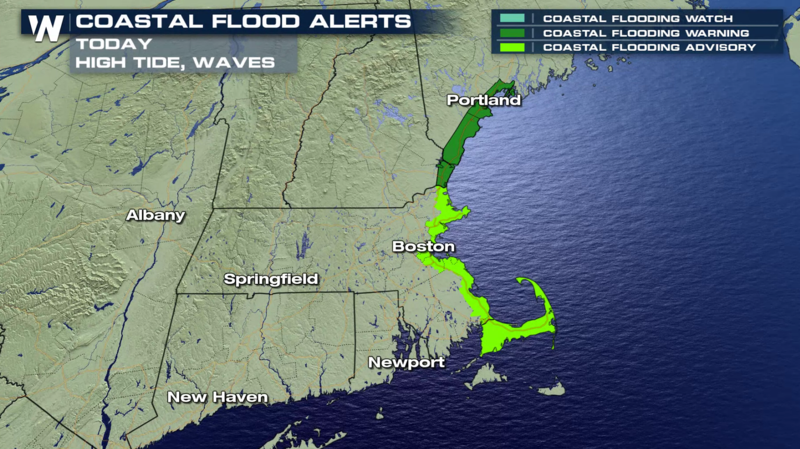 Coastal flooding is possible along the coasts of Maine and Massachusetts into Saturday morning. 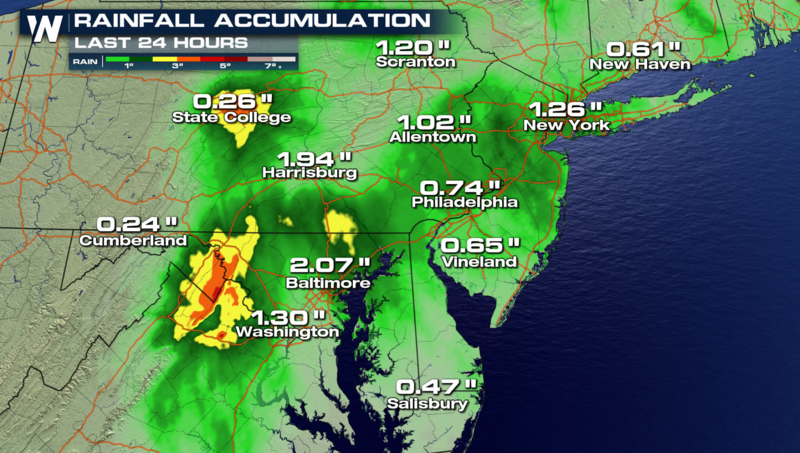 For the very latest information on this spring storm, watch team coverage on WeatherNation TV. You can watch on the Dish Network, Roku, Amazon Fire TV, Apple TV, and Pluto TV. You can also download the free WeatherNation App to your Apple or Android devices.